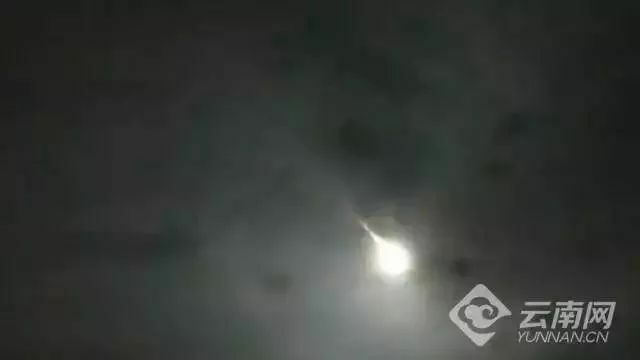 Experts have confirmed that objects found in Yunnan Province are stone meteorites, one day after videos recorded their fiery entry into the atmosphere on Friday night, reports thepaper.cn. Bright light briefly lit up the night sky over Jinghong City in Yunnan Province. 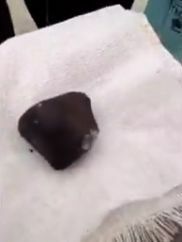 Some people captured the event on videos that they shared online, speculating that the light might have been from a burning meteorite. "It is hard to tell whether it is a meteorite just by judging from the videos", said Wang Xiaobin, director of the seismological bureau in the Xishuangbanna Dai Autonomous Prefecture in Yunnan Province. Meteorite hunters found the first meteorite on Saturday. "It is a fresh stone meteorite, quite perfect," said Jiang Wei, deputy director of the Committee for Meteorite Scientific Investigation, China Association for Scientific Expedition. Authorities are asking for the help of local people to locate more meteorites for research purposes.